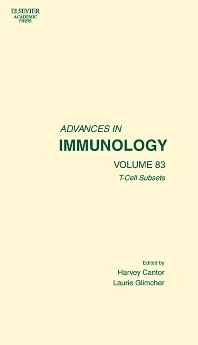 This first thematic issue, of the Advances in Immunology series, highlights the remarkable new insights into the mechanisms that govern development and function of T cell lineages. Recent developments in the understanding of the genetic and epigenetic mechanisms that regulate development of the two major T cell lineages will have a fundamental impact on a number of research fields -immunology, cell biology, hematology and stem cell research. All of these groups have a vested interest in comprehending issues such as stem cell self renewal, progenitor plasticity, lineage commitment and cellular identity. Immunologists have a special interest in the mechanisms that allow selection of a T cell repertoire whose members integrate genetic information for T cell receptor, co-receptor and specialized immunologic function, since this process lies at the core of adaptive immunity. Dana Farber Cancer Institution, Boston, Massachussetts, U.S.A.
Harvard School of Public Health, Boston, Massachussetts, U.S.A.